The Scoop: Since its launch in early 2014, MyTranssexualDate.com has given trans singles around the world a safe place to find love and connection. This international dating site has grown exponentially in the last few years, and it continues to add over 45,000 users each month. My Transsexual Date embraces and celebrates diversity, and its vast dating network includes people of all ages, backgrounds, orientations, and nationalities. By uplifting a marginalized audience, My Transsexual Date has made the online dating scene a little kinder and more tolerant toward singles in the trans community. Trans men and trans women can face discrimination in many areas of their lives. They can run into conflict in their families, the workforce, the bathroom, and the dating scene. Unfortunately, a majority of the dating population currently hold intolerant views toward transgender singles. A 2018 academic study found that 87.5% of respondents said they would not consider dating a trans person. Among the respondents were people who identified as heterosexual, lesbian, gay, bisexual, queer, and trans, yet they all shared a bias against trans singles. When trans men and trans women run into these biases, they can easily get their feelings hurt. 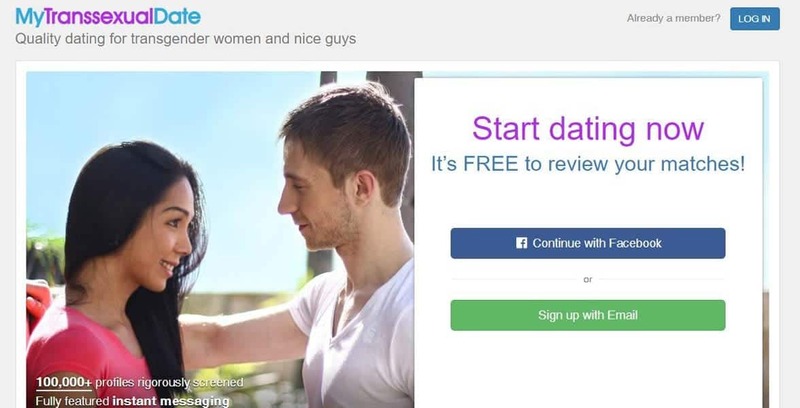 They may join a general dating site hoping to make a connection and end up feeling more alone and marginalized than ever. Cyril Mazur, Founder of MyTranssexualDate.com, doesn’t accept the cisgender norms that keep trans singles down, and, in 2013, he decided to do something about it. He launched MyTranssexualDate.com and MyLadyBoyDate.com to foster a welcoming, trans-friendly dating platform for singles around the world. My Transsexual Date is a niche dating site designed to serve the international trans community. Cyril’s partner, Maki Gingoyon, is a transgender woman, so he’s intimately aware of the dating challenges in the trans community. He sees My Transsexual Date as a way to improve the dating scene by connecting trans singles with friendly people who will respect their choices and love them for who they are. The niche dating site has become popular in countries around the world, and it’s growing at a rapid rate. In 2018, My Transsexual Date saw over 700,000 signups and over 60 million messages sent. Cyril told us the site sees approximately 14 million page views a month, and it adds new testimonials and success stories all the time. These milestones are important to Cyril, but he hasn’t lost sight of his ultimate goal to make the online dating scene more tolerant toward everyone. When My Transsexual Date got started, it focused on attracting members in the Western world. My Ladyboy Date had already established itself in Asia, so My Transsexual Date was a way to open the trans dating scene up to the Western world. Over time, My Transsexual Date grew its membership on an international scale, and Cyril saw an opportunity to continue expanding in other parts of the world. Right now, Cyril is working to add translation services to the dating site to remove the language barrier that separates users in different countries. That will be an important first step to help singles in Vietnam, Indonesia, South Korea, and other Asian countries connect with love interests overseas. Such countries are high on Cyril’s target list. On average, members exchange over 50,000 messages a day on My Transsexual Date. My Transsexual Date already has a strong foothold in the US, Latin America, and Asia, and singles can expect its international network to continue growing in Eastern Europe in the coming months. On average, My Transsexual Date adds 45,000 new users each month. Each new user means trans singles have a greater opportunity to connect and build friendships and relationships. That’s something Cyril does not forget. He highlights the dating site’s success stories to bring into focus what My Transsexual Date is all about and what it can achieve. Cyril said the My Transsexual Date community has grown by about 200,000 members each year for the past three years, and his focus is on keeping that momentum going in the next three years. The site’s increasing popularity has presented the development team with challenges, and that has meant some side projects had to be put aside indefinitely as the team worked hard to keep pace with the fast-growing membership. 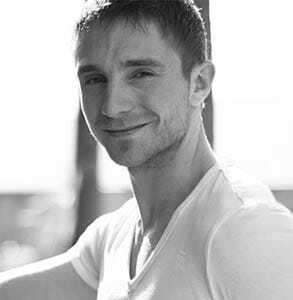 Cyril Mazur is a French web entrepreneur who founded MyTranssexualDate.com and MyLadyboyDate.com. “To maintain the high quality of service we are known for, we made the decision to postpone the development of new features and focus on supporting the existing ones instead,” Cyril explained. My Transsexual Date’s team has expanded to include more moderators, engineers, and IT experts than ever before, and Cyril has tasked them with making the dating site more reliable, user-friendly, and efficient. They have honed the moderation process and improved the code base, and now they are working to launch a mobile version of the site. Around two-thirds of My Transsexual Date’s members connect to the website using a mobile device, so adding an app will make the interface even more streamlined and convenient. The app will be available on Android and iOS. Even as he motivates his team to strengthen the site’s infrastructure and tweak its interface, Cyril never loses sight of the big picture and why he launched My Transsexual Date in the first place. “Our long-term goal is, of course, to keep growing, maintain the quality of our service, and help as many transgender women as possible find love and dates in a nice and safe environment,” said Cyril. Many singles in the trans community face significant challenges in the dating scene. Some daters will outright dismiss them, and that judgment can hurt someone already feeling like an outcast in society. Fortunately, niche communities, like the one found on MyTranssexualDate.com, come to the aid of trans singles and let them know they’re not alone. Since 2013, Cyril has supported transgender singles by developing a forum where they can mix and mingle without judgment. My Transsexual Date currently sees over 500 signups a day, and its exponential growth has been good news for the international trans community. Now singles have a safe place where they can be themselves and meet people who celebrate each other’s differences. My Transsexual Date isn’t just changing the lives of individual members — it’s changing the overall dating culture by bringing trans singles into the fold and giving them a fair shot at building meaningful relationships.